I will admit lately I have been a shopaholic, like more than normal. I have been trying to build my wardrobe back up with clothing that actually fits me and its been a struggle to find new pieces that fit appropriately. 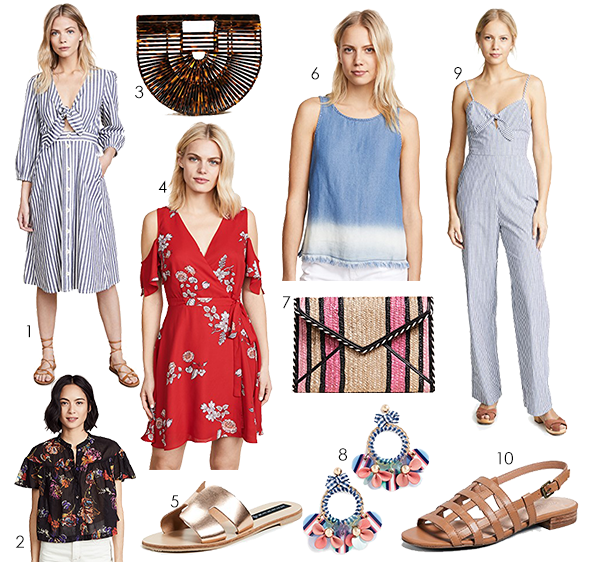 Lucky for me, there has been sales galore and with Shopbop being one of my favorite places online to shop, their Big Sale is the perfect opportunity for me to add more to my closet. The sale begins today and you can get 20% off ALL orders under $500, or 25% off orders of more than $500 using code EVENT18. This is the sale that includes full price items y'all, so its time to stock up! I scoured the site for my favorite must have items, perfect for this hump day! Hope everyone is having a great week! That jumpsuit looks super cute!